I have to give full credit of this page to my genius husband! (So, the husband 101 page definitely balances this blog out ;)) I say he's a genius, he claims its just good habits. You will often hear him say, "it may only be $1 but its better in my pocket than there's" when we refer to a correction on a bill or receipt of some kind. Be smart with every cent spent because its every penny earned that is in your hands to spend wisely. Have your own personal shop buddy who finds you deals, coupons and earns you cashback! This shopping site allows you to have a shopping buddy that will do the searching for you! It's a one stop shop to thousands of stores. You enter in what you are searching for and it will give you a comparison list of all the stores and what prices the stores have them at. Just by going thru this Shop.com website first, you will also earn cash back. There is no cost to be a preferred customer of this program and better yet, just for referring friends to the site, you also receive 1/2% cash back of the qualified purchases they make too! Click on the link and learn more: Shopping Online Shop Buddy! **Don't forget to enter The Moms Email, connielynn2100@yahoo.com when asking who sent you! 1. Use Your Gas Buddy Phone App. 2. Use ONE Credit Card to pay for GAS ONLY. 3. Label it with a permanent marker: GAS ONLY! 3. Register that Credit Card with the Gas Stations Rewards Programs. Seriously?! Quit laughing you know I meant for your car! Use the GAS BUDDY APP on your phone. Be prepared to pay for the cheapest gas when you are about to run low. This app will take you to the nearest location with the cheapest price. Better saved in your wallet than spending more at the pump! Be a SMART MOM while chauffeuring all the kids from event to event!! Be even smarter when your husband needs to stop for gas and assure him he's headed in the right direction... wink, wink! Use one credit card for GAS ONLY! You are paying at the pump most of the time anyway, which your Gas Only Card usually requires. Also, register that one card under the rewards programs most gas stations have. This allows you to see how much you are spending each month in travel and where you can cut back or save next month. If you are a home based business owner, keeping track of your expenses becomes easier and of course, its a great tax write off! *see Home Based Business for home internet opportunities. Our family has gone from spending about $100+/month on cell phone costs to about $37/month! How did we do it? If you must have the newest greatest hi-tech phone, this may not be the plan for you but I've had pretty cool phones and happy with saving over $700/year and still utilize my phone for all my necessary needs. Keep in mind this is the same Verizon svc. and network. Purchase a Verizon POST PAID phone in stores or on line. The avg. is only $50/phone! Make sure POST PAID and NOT PREPAID!!! Prepaid phones don't allow this package. Go to www.PagePlusCellular.com and choose the plan best for your needs. Follow the instructions on your new phone or use the LIVE CHAT online with Page Plus to walk you thru connecting your phone. Each month you refill your phone online (we pay for 5-6 months in advance to save time). You can also receive discount codes when refilling your monthly plan making it 5%-7% cheaper! 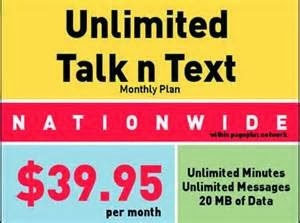 For the same service and network we went from a limited 1200 talk minutes & txt for $100/ month + over usage fees (The Mom can't help her gift of talk! Yikes!) to a new phone every year UNLIMITED txt and talk paying about $500 a YEAR instead of over $1200 a year! WOW! My sister tried this out for my teenage nephew. They went into a Verizon store to see what phone is best for him, then went online to purchase it. She said it literally took minutes to do and she's so happy to have the extra cash in her wallet now! He loves his new phone and she loves the simplicity of it and the money it saved! My aunt walked thru it with my dad and said everyone with Verizon and online were extremely helpful getting him all set up! My hubby is a lot happier knowing his wife can talk her little heart out to others without paying the price! ha! Please share your everyday money savings ideas with us too!